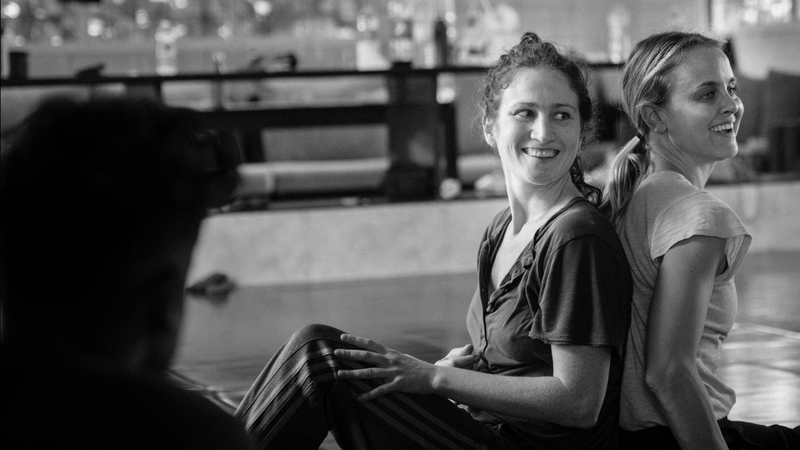 In this advanced Contact Improvisation laboratory for dancers who identify as women and gender non-binary, we will have the opportunity to investigate the form within an intentionally curated environment. We will aim to unlock the possibilities of our freest dancing and find fullness in the form with other women– opening to athleticism, attraction, intimacy, and risk level with our partners. Within the culture of the jam, binary duets often dominate the physical and energetic landscape. What is behind this norm? What psychosomatic, emotional, and cultural expectations and patterns are at play when men and women dance together? In this lab space, we have been intentionally examining our dances with other women and considering what is different? Throughout the weekend, we will lead a few structured warm-ups and offerings, but the primary focus will be playing, dancing, and investigation together on topics of shared interest. Bring your questions and desires! This will be our third year hosting the event, and after our previous experiences, we could not be more thrilled to organize and participate with you again! We’re looking forward to time set aside to nourish our creativity, share meals, dances, ideas, and conversation. Registration: Please write to WomensCILab@gmail.com with 1-2 paragraphs stating your interest in this inquiry. (This will help us to organize interests and desires for the weekend). Please prove you are a human. Fill in the sum above.